This has been another excellent reading year. I kept my reading challenge to read and review 100 books during the year and in the event, I read 175 books and reviewed 162. 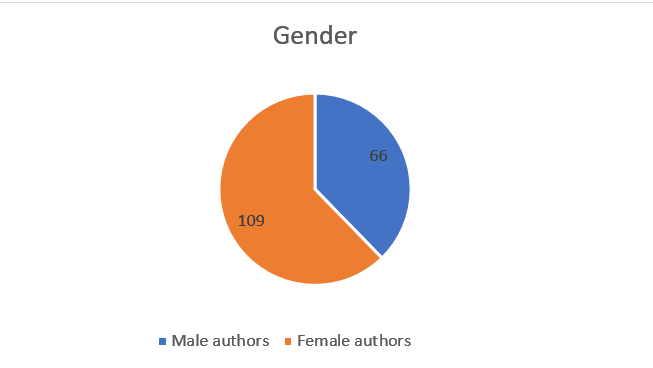 Of these, 66 were written by male authors and 109 books by female authors. 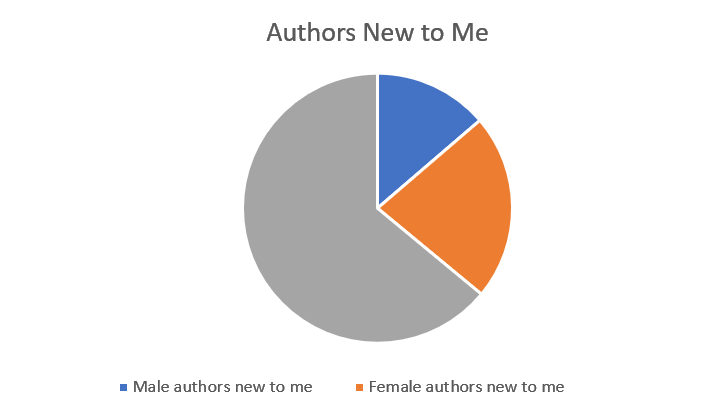 Given that I read mostly science fiction and fantasy, I am happy to be reading more books by female writers as they tend to be under-represented in book shops and libraries, particularly in science fiction. Another related challenge I set myself was to read at least two books by a female author previously unknown to me – the Discovery Challenge, prompted by Jo Hall. During 2017, I read 39 books by women writers I hadn’t previously encountered, and 24 books by male authors I hadn’t read before. 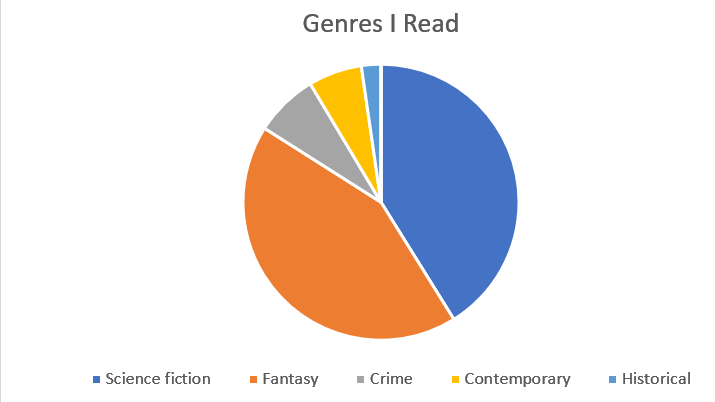 So 36% of books I read were by authors new to me. This is a bit disappointing, as last year, I had managed to achieve 43% of books read by previously unknown authors. 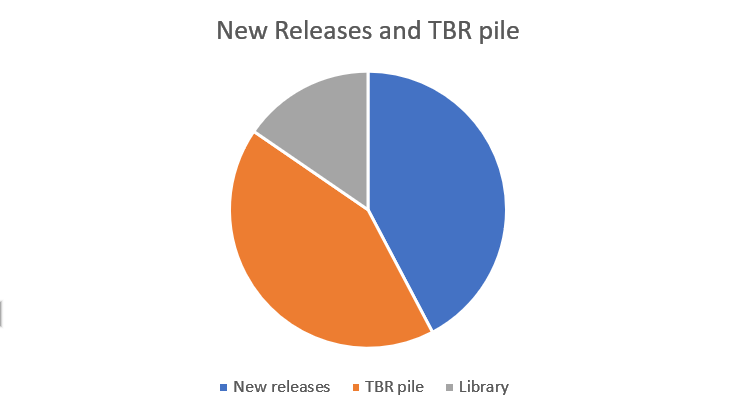 After resurrecting my previously-dormant NetGalley account in 2016, during 2017 I read and reviewed 74 new releases, still retaining my 80% feedback ratio badge with NetGalley. I have been very careful not to overload myself with arcs as I am a mood reader who reviews books as a hobby. I think this caution is paying off. In addition, my reviewer stats with Amazon have steadily climbed and I am now hovering around the 1,500 top reviewer mark. This may seem rather grim, but I am very happy, given that only three years ago I was waaaay down this ranking. One of my targets for 2017 was to make more inroads on my TBR pile. I am pleased to announce that I managed to read 74 books from my TBR pile. What was a bit shocking was how much less we are using the library, given Himself now has a lot more books from Kindle Unlimited, which he often goes on to buy if he likes them. In 2017 I read 75 fantasy books, 72 science fiction books, 4 historical adventures, 11 contemporary fiction and 13. Science fiction includes sub-genres including time travel, steampunk, apocalyptic, post-apocalyptic, military, space opera and literary. Fantasy includes sub-genres including epic, urban, swords and sorcery, sand and sorcery, musket and magic, grimdark and coming of age. 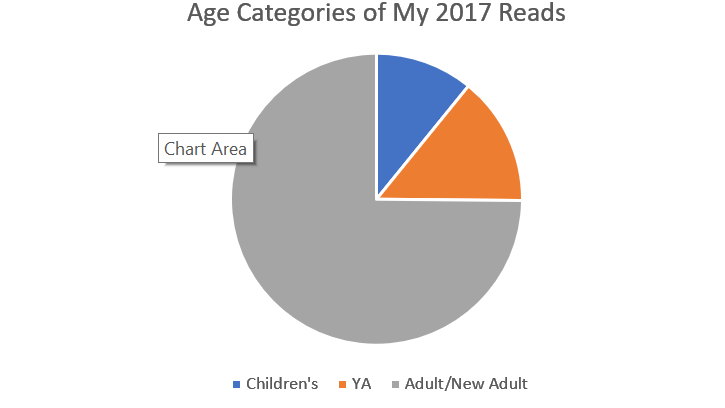 Regarding the age cateogries of the books – I read 19 children’s books in 2017, along with 25 books for young adults. The rest were adult/new adult. This is a massive fail – I was supposed to read more children’s and YA books this year. Given that in 2016 I also read 19 children’s books and 30 YA books, I am definitely going to have to ensure that I read more books for children and young adults in 2018. And that’s it. How did you get on in 2017 – was it also a good year for you, too?